Swingline LX20-30 cross cut shredder offers a good level 3 security to prevent common cases of identity thefts. It features continuous shredding and jam prevention technology. It shreds paper, paper clips, staples, credit cards, and optical media. 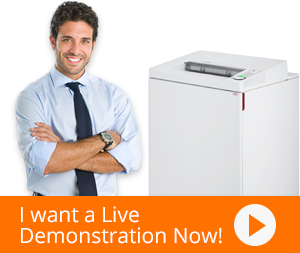 It has a level 3 security rating; making it suitable to shred non-confidential documents. Swingline LX20-30 is a Jam Free shredder and shreds continuously without paper jams. It features thermal overload protection to protect the motor from heating up. It automatically oils the cutting blades; optimizing the shredding and automatically cleans the cutting blades; ensuring the shredding remains smooth. It saves operational costs by going into sleep mode after a few minutes of inactivity. Swingline LX20-30 shredder has a larger than average waste bin capacity thus saving operational costs. It performs its operation quietly without creating any disturbance in the office environment. its cutting blades have a lifetime warranty and don’t require frequent maintenance.